- Waybright Real Estate Inc.
"Selling the Sunset Side of Citrus County"
Interested in selling, buying or renting a house in Citrus County? Come on in! You've come to the right place! Crystal River in Citrus County, Florida is the home of Waybright Real Estate, Inc. We specialize in both the sale and rental of residential and commercial properties in Historic Downtown Crystal River Florida and throughout Citrus County. If you are looking to buy, sell, or rent a home or an investment property in Crystal River, Beverly Hills, Pine Ridge Estates, Homosassa, Lecanto, Inverness, Citrus Springs, Citrus Hills, Dunnellon, Hernando, Floral City, or any of the surrounding areas of Citrus County, Waybright Real Estate, Inc is here to help. We can even help you find waterfront property or a home on the golf course! We pride ourselves on taking the time to know each and every customer individually- listening to their specific needs and concerns. Whether you are buying or selling, we are ready to negotiate the best deal, or determine your optimal selling price and provide you with all the necessary facts you will need to make a confident, informed decision. Looking for a new home? 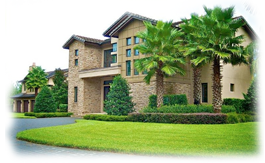 Search All Citrus Listings to find the home for sale in Citrus County that is right for you. We have the tools and knowledge to help you find just the right property through our Citrus County MLS service. If you're planning to sell your home in the next few months, nothing is more important than knowing a fair market value. As part of our personalized service we will provide you with a FREE Market Analysis. From the first walk-through to the signing of the closing documents, we will be with you every step of the way! Our experienced real estate agents are ready to help you achieve all your real estate goals.